Suzerain: Suzerain - Xmas Party Time! Free Party! Suzerain - Xmas Party Time! Free Party! 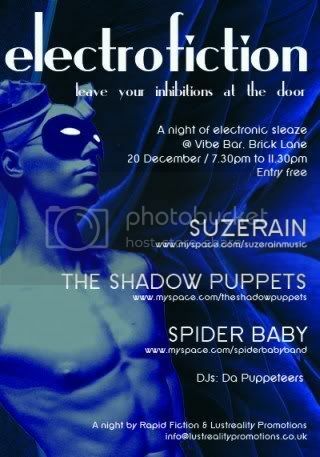 see you xmas party cats tomorrow night (20th Dec 2006) at the Vibe Bar on Brick Lane - Shoreditch. Doors open 7:30 - open till 11:30.